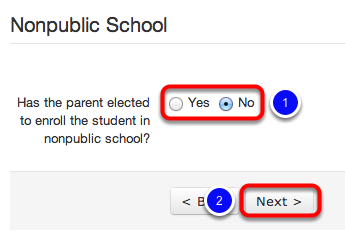 From the IEP Wizard Quick Resume Menu, select IEP Wizard Nonpublic School Questions. 1. By selecting Yes or No, indicate whether the student will be enrolled in nonpublic school for the duration of this IEP. 2. Click Save Report Date. 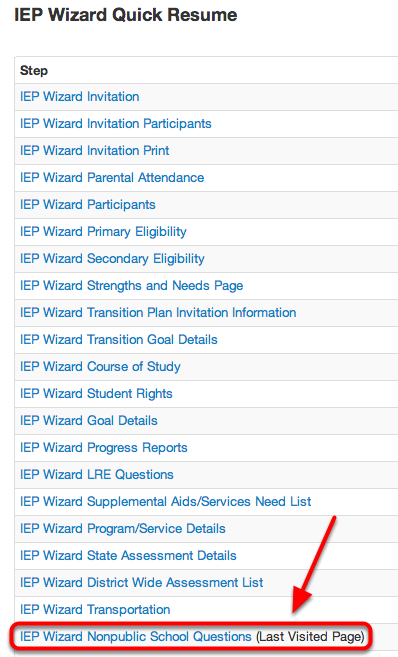 Note: Clicking Save Report Date will automatically take you to the IEP Wizard Follow Up Details page. You are now ready to complete the IEP Wizard Follow Up Details page. For more information on how to complete IEP Follow Up Details see the, "Follow Up Details" lesson in this manual.